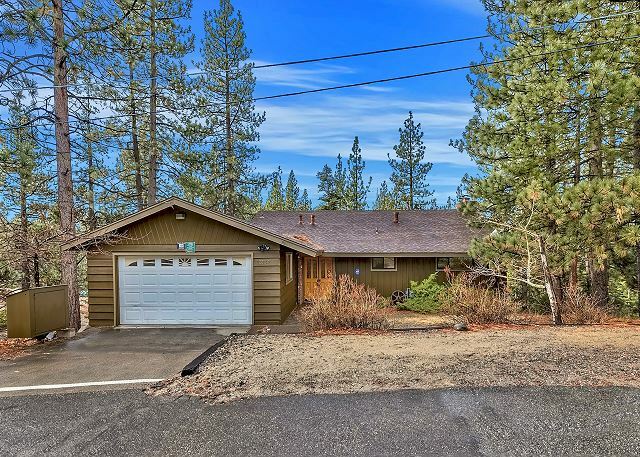 Located in a peaceful county setting this 4 bedroom chalet features 4 bedrooms and a hot tub on the front porch. 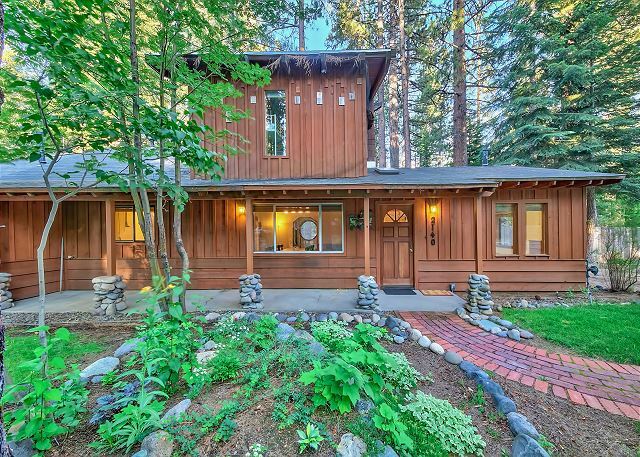 This location is perfect for those that want to hike, mountain or explore the great outdoors. 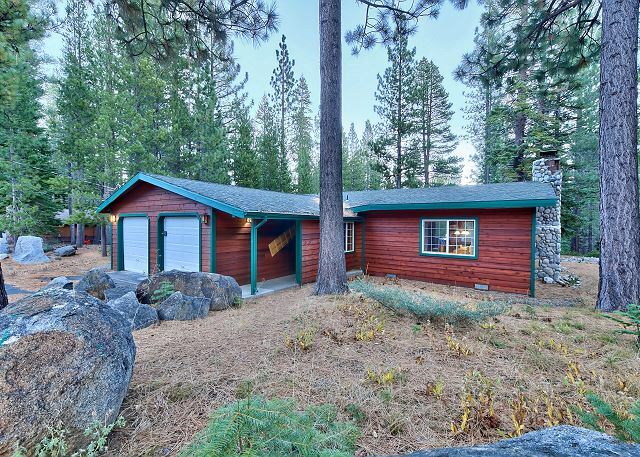 North Upper Truckee Single Story Tahoe Cabin with 3 bedrooms, 2 Baths, Hot Tub and lots of room to play. 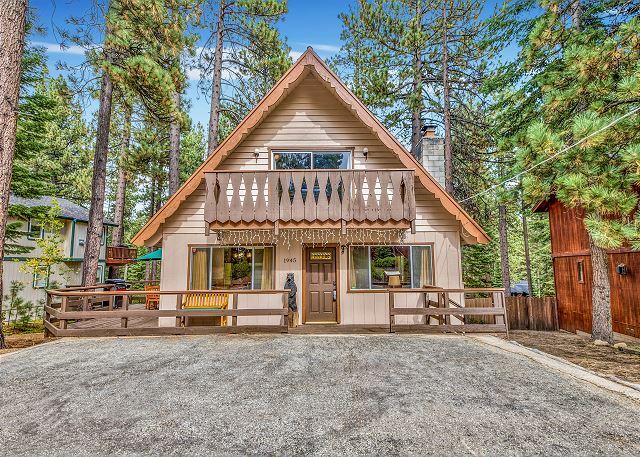 This four bedroom cabin backs to miles of National Forest Land with wonderful trails for hiking and biking in the summer time and cross-country skiing, snowshoeing, or snowmobiling in the winter. 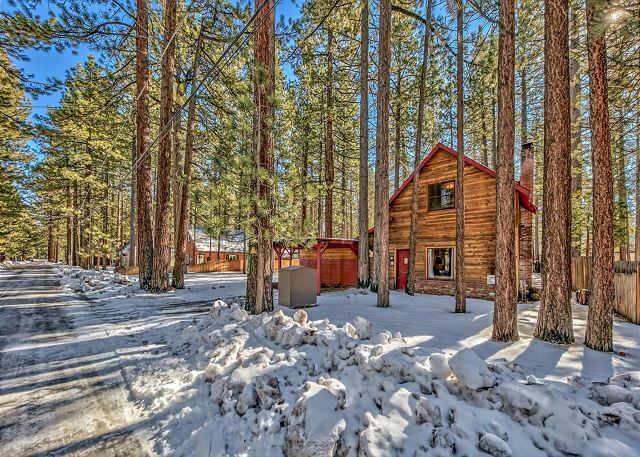 The Pine Cone Retreat is a well equipped mountain chalet that is perfect for your family vacation. 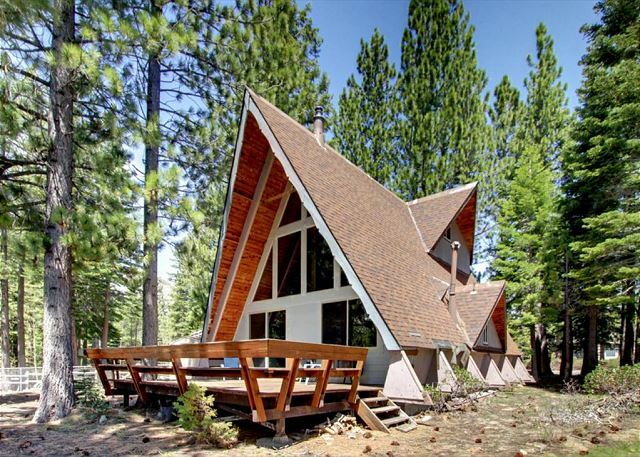 The cabin includes 2 bedrooms plus a huge loft with pool table and sleeping areas. 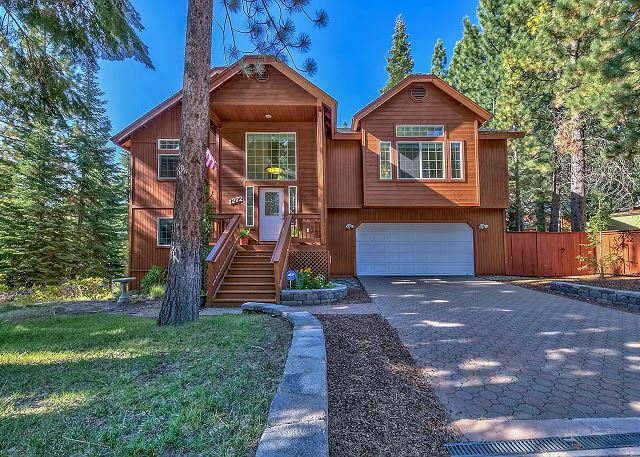 This 4 bedroom uniquely styled home is set on a beautifully landscaped double lot. 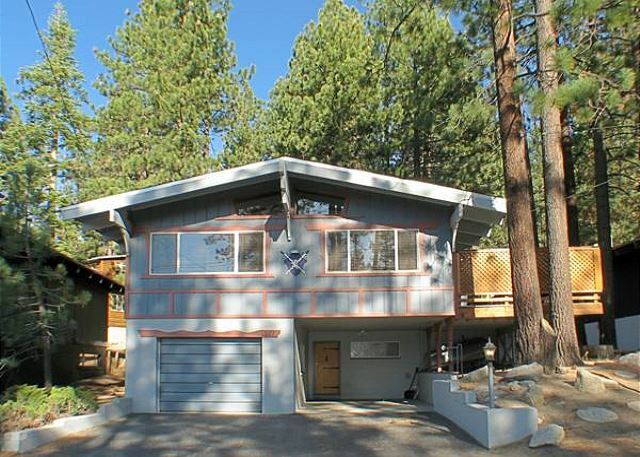 Close to the bike trails to the beaches and restaurants along Highway 89. 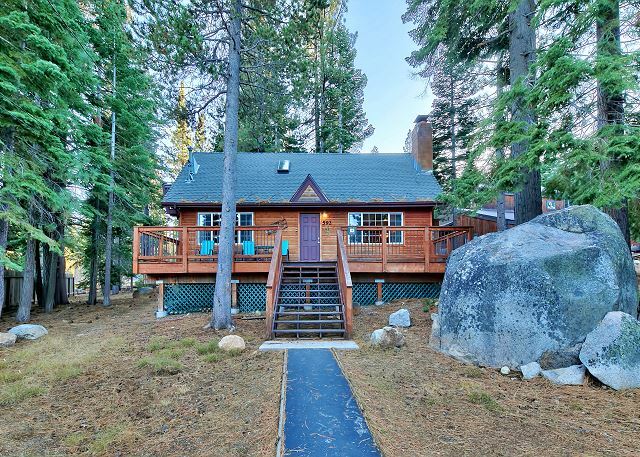 The Sonoma Cabin and Bunk House are located in the wonderful Al Tahoe neighborhood, close to the Lake, beaches, skiing and many dining options. 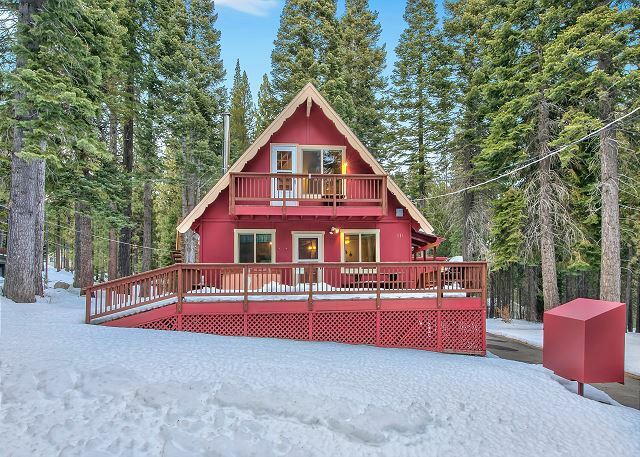 4 Bedroom Chalet located just down the hill from Heavenly California Ski Lodge and minutes to everything wonderful Tahoe has to offer: Dining, Gaming, Exploring the Lake, shopping, hiking.